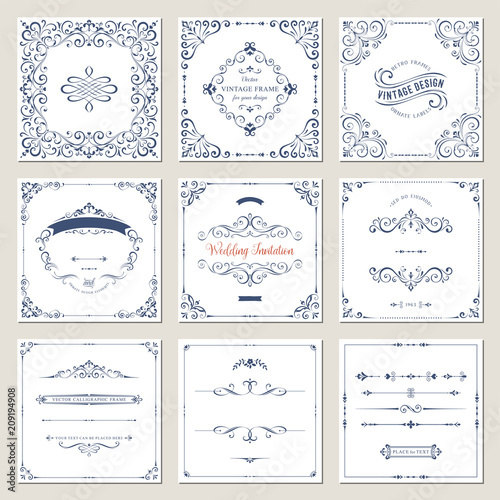 Ornate frames design and scroll elements set. Flourish cards and labels templates. Vector illustration.